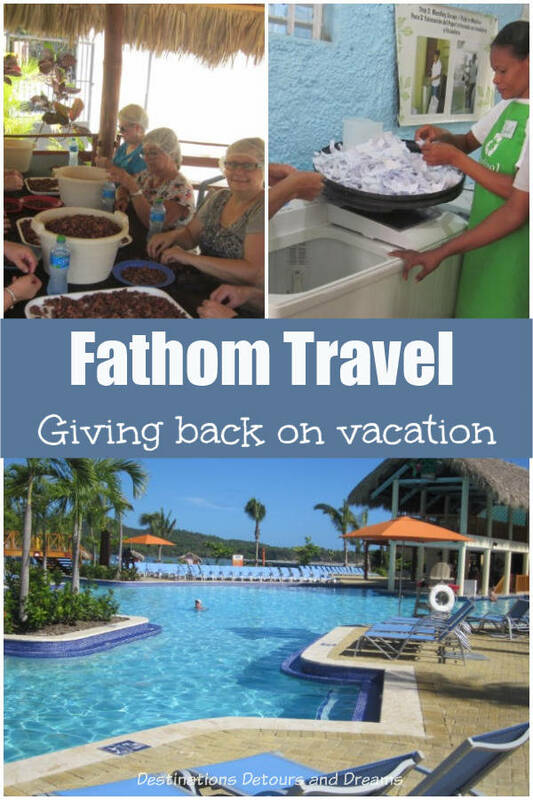 Fathom™ describes itself as a travel experience that combines vacation with the opportunity to give back. A subsidiary of Carnival Corporation (parent company to many cruise lines), it offers Caribbean cruisers onshore social impact experiences where you do something to help the community. 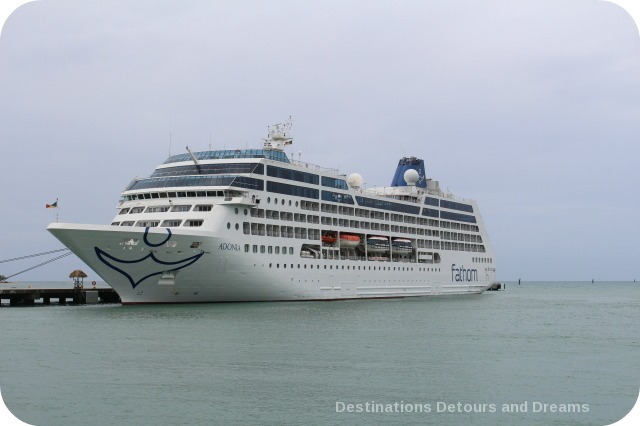 Fathom started operating in 2016 with cruises to the Dominican Republic and to Cuba on the Adonia, a ship leased from British-based P&O Cruises. The focus of the Dominican Republic trips was community development. The focus of the Cuba trips was cultural exchange. My husband and I sailed on one of the trips to the Dominican Republic. During our two-and-a-half days docked in Amber Cove, Dominican Republic, we helped families learn English and worked at a woman’s chocolate cooperative. I helped make recycled paper at a woman’s cooperative while my husband helped cement a dirt-floor house. During our time at sea, in additional to more traditional cruise activities, we attended workshops about social change and personal growth. In May 2017 Fathom discontinued the Adonia cruises and began offering some of the Dominican Republic community development activities as onshore experiences to all of the cruise brands within the Carnival Corporation. If your Caribbean cruise on one of these brands, such as Princess, Carnival, Holland America, and Costa, takes you to Amber Cove, Dominican Republic, you can help at a chocolate cooperative, make recycled paper or plant coffee seedlings. 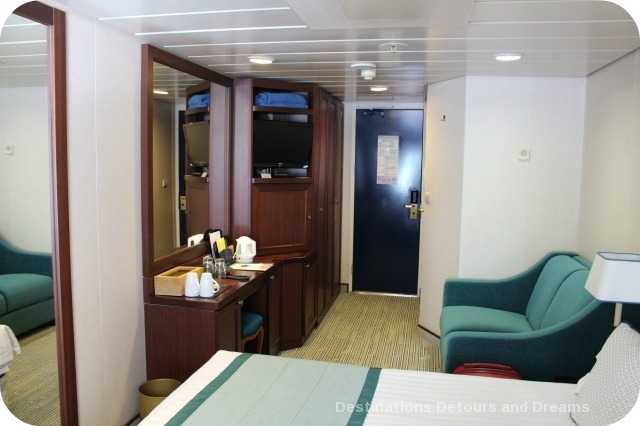 Fathom also offers the Fathom Experience Package on select cruises throughout the years. The experience combines shipboard and onshore experiences in one bundle, with three impact shore activities and exclusive on board programming included. In addition to work in the Dominican Republic, some of the 2018 cruises included stops in St. Maarten or San Juan, Puerto Rico to help communities and people rebuilding from hurricanes Irma and Maria. 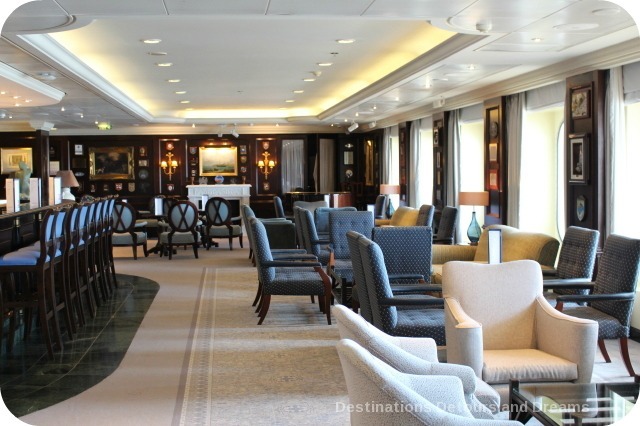 The rest of this post highlights our Fathom cruise experience about the Adonia and on shore in port. Although this particular Fathom trip no longer operates, our experience gives you a flavour of what you might expect when taking the current Fathom Experience Package. In the world of cruising where ships keep getting larger and larger, the 704-passenger Adonia is a smaller, more intimate setting. It belongs to British-based P&O Cruises. Fathom retained the British crew. I found other British influences on board – the kettle and wooden box of tea and coffee in our room, the delightful English accent of the recorded voice on the lifts (elevators) announcing deck numbers. The ship has a pool, fitness centre, spa and salon. Shops carry fair trade products and brands that make a difference. The toiletries in our room were all fair trade. The library had a good selection of books of all genres. There were also board games and a jigsaw puzzle in progress. Glass House wine bar offers a selection of organic wines in taster and full glass sizes as well as by the bottle. 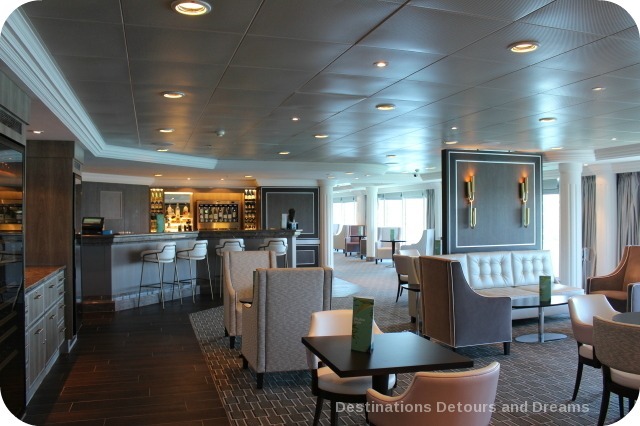 Evening entertainment and activities takes place in the Curzon Lounge, with a parquet dance floor, or the Crow’s Nest Bar on the top deck, with views of the ocean. 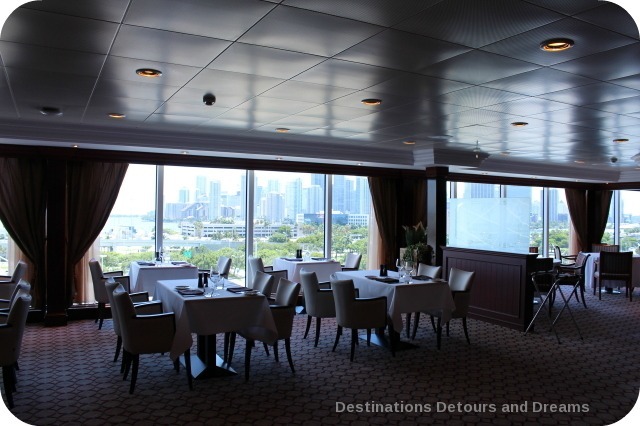 Buffet-style dining is available in the Conservatory, sit-down meals in the Pacific Grill, and casual day-time fare (e.g. burgers) poolside in the Lido Grill. There is an additional charge ($15 for lunch, $25 for dinner) to eat in the elegant Ocean Grill, where Dominican chef Emil Vega creates modern dishes inspired by traditional Cuban and Dominican fare. 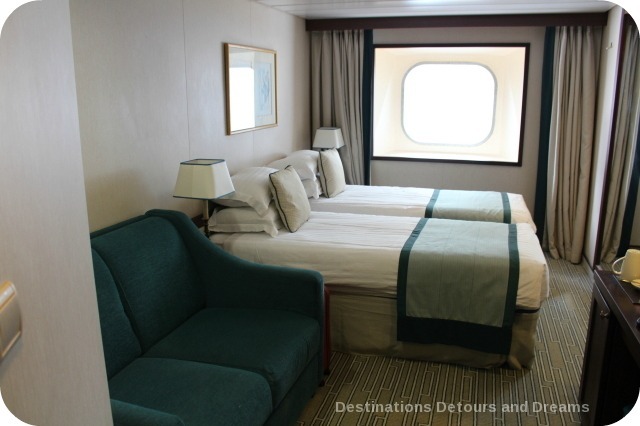 Life on board Fathom Adonia is relaxed. Dress is casual, even at dinner, although “smart casual” is recommended for the Ocean Grill, where reservations are recommended. The Pacific Grill is open-seating. You have no assigned time or table. You can select a private table or opt to join others. It was a great way to meet other passengers, hear their stories and learn about their Impact experiences. There were many activities to keep us busy. I reread the daily lists when preparing this post and now want to go back to take in the activities I wasn’t able to schedule into my day on this trip. Fitness-focused activities included morning yoga and mediation. The rocking of the ship added a new dimension to both. There were Pilates classes, spin classes and wellness workshops. The spa offered pampering treatments at a fee. Fun activities included scavenger hunts, trivia games, Latin dance lessons, cocktail-mixing classes, paint nights and dominoes. There was even an opportunity to discover your spirit animal and superpower. (My spirit animal is deer. My superpower is Intelligent Insightful Inspirer. How cool does that sound!) 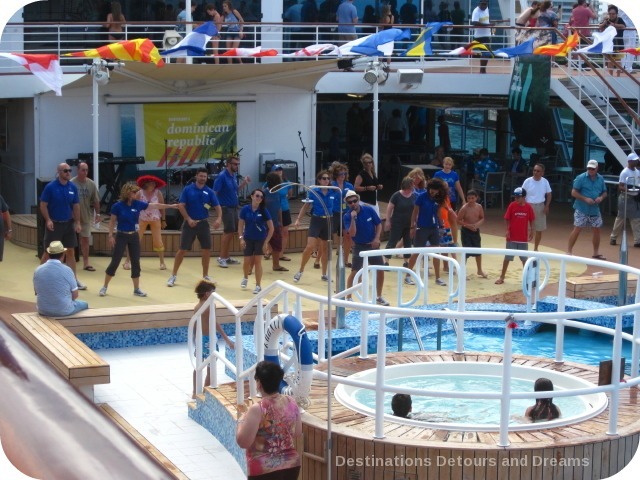 There was live music every evening, supplied by the resident Craze Band and by local Dominican musicians while in port. However, the biggest focus of the daytime activities was on Impact activities, social change and personal growth. Impact guides facilitated these sessions and acted as translators on the ground. Although the guides were relatively young, they already had their own interesting stories, from living in Peru to serving in the Peace Corps to a range of experiences in between. Participation in all the activities was optional, but there were three specific workshops we were all encouraged to attend to get the most out of our experience. 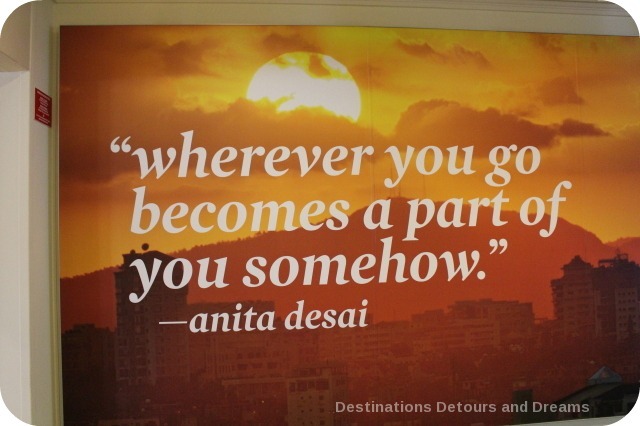 The first two occurred before we reached the Dominican Republic. The last session took place as we sailed back to Miami. Being a Fathom Traveler provided background on what Fathom is and helped prepare us for activities on the ground. The focus is on alongsideness (working as partners with the locals) and empathy vs sympathy. We were told to focus on the people during our activities, not their surroundings. We learned that the idea for Fathom first surfaced in a dinner conversation between social entrepreneur Tara Russell, now president of Fathom, and her friend Arnold Donald, CEO of Carnival Corporation. Getting to know the Dominican Republic provided us with information about the history and culture of the Dominican Republic. In the Fathom What’s Next session, we talked about our experiences and learned the measurable impact of our work. We left messages for the next set of travellers. Other activities included Spanish lessons, how to work while teaching English, photography tips, a coffee tasting workshop, being a change maker, raising change makers, social innovation in action and curiosity. Personal growth sessions covered topics like finding balance in life, time management and telling your stories. I felt a sense of community on ship. I think several things combined to create that feeling – the small size of the ship, working alongside others in Impact activities, discussions in workshops and the general attitude of fellow passengers, eager to find out what Impact activities others had participated in and what their experiences had been. Fathom partnered with Entrena, an organization specializing in training, education and social engineering with a 25 year history in the Dominican Republic, and IDDI, a non-profit organization created in 1984 to transform the lives of the low-income population of the Dominican Republic and the border regions of Haiti. Through those partnerships, Fathom has created programs in which passengers participate to improve the lives of families and communities. Facilitators from the partner organizations guided us through the activities and translated as needed. Eight programs existed at the time of our sailing with under consideration for the future. 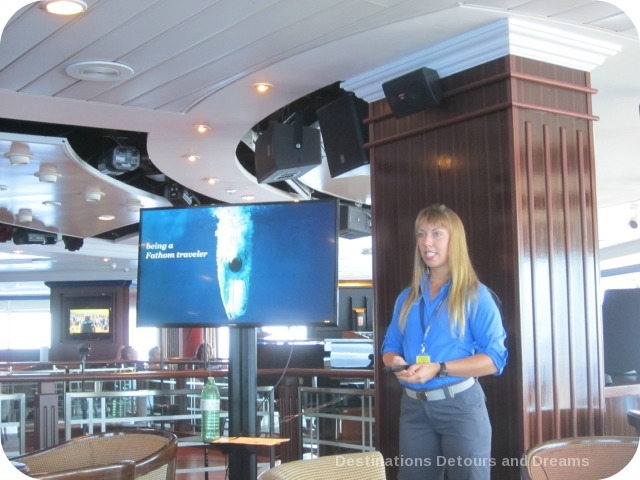 Up to three Impact activities were included in the cruise. Each activity runs for half a day. A couple (e.g. water filters, cement floors) had a small additional charge ($20) to help cover the cost of supplies. I participated in the English in the Community program, where travellers work with families in their homes teaching English following a set curriculum. 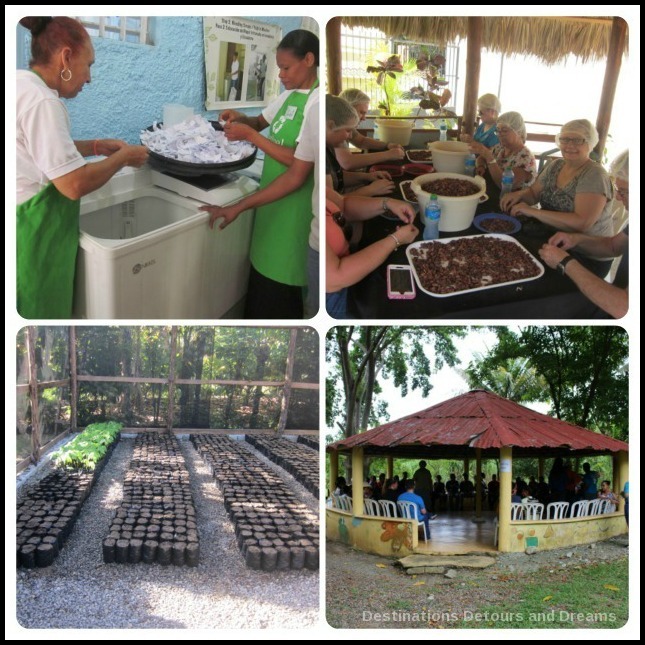 I planted cacao seedlings, sorted cacao beans and packaged chocolate at a women’s chocolate-making cooperative. I helped make sheets of paper at a women’s paper recycling cooperative. My husband participated in a couple of the same programs as I did, but we went our separate ways for one activity. He helped build a cement floor in a dirt-floor house. Replacing dirt floors with cement has a direct impact on health and cleanliness, provides safety from flooding and is a source of pride and dignity. When my husband arrived at the home, all the family’s belongings were already on the yard. The house was empty and ready to be worked on. The woman was pregnant, which was the reason this family made it to the top of the prioritization list for a floor. The team, which included Fathom travellers and family members, mixed cement in a puddle in the yard, formed a bucket brigade to haul water and laid the floor. There were tasks for all levels of ability. After the floor was laid and the travellers returned to the ship, the local cement expert would finish evening the floor and apply a paint colour of the family’s choice. The family had chosen yellow. Within eight hours, the family would move their belongings back into the house. Before my husband’s team returned to the bus and back to the ship, they were taken two streets over to see the finished floor on the grandmother’s house. That floor had been laid by a Fathom team the day before and was painted green. 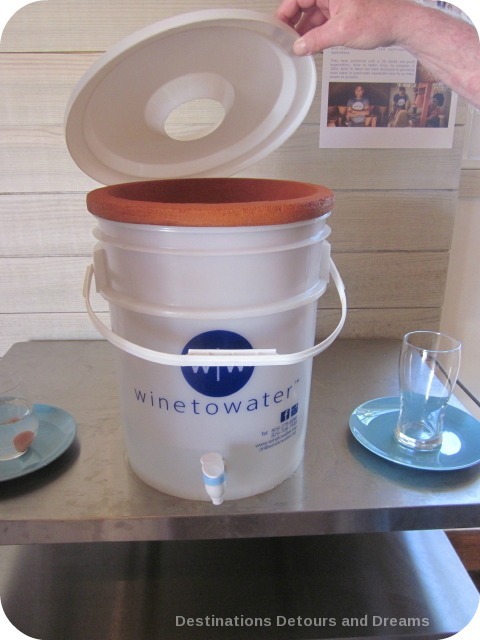 The water filter program was done in conjunction with the company Wine to Water. Participants in this activity helped make water filters from sawdust, clay and liquid silver. The filters reduce water-borne illnesses and save on the cost of water. One filter serves five people. I talked with someone who did the water filter activity. The group made three filters that day. He said the most rewarding part was delivering the filters to families at the end of the activity. Reforestation activities included planting seedlings in the nursery and planting trees in the countryside. Reforestation improves soil quality, localized air and water quality and improves biodiversity. There was also opportunity to teach English in schools or help in music, sports and art camps when school is not in session. The work at all the activities I participated in was happy work. I learned something. The people were warm and welcoming, full of love and joy. Although informing and guiding us reduced the output rate of the regular workers, the extra hands we brought increased total production overall. There were opportunities to do more traditional tourist activities. 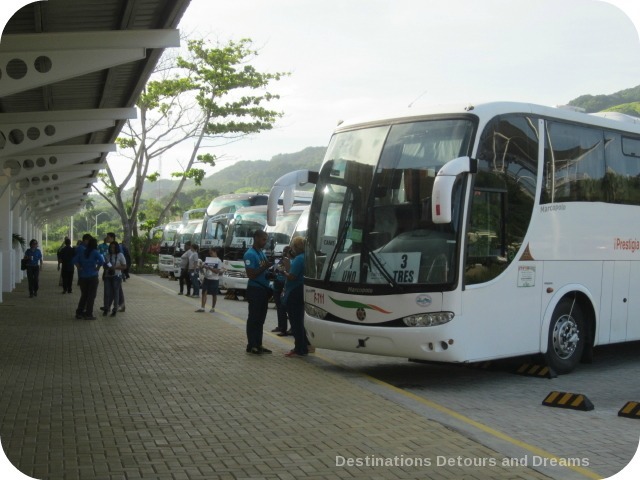 Shore excursions included tours of Puerto Plata, beach visits and assorted water activities. Some opted to hire a taxi for a private, more individualized tour. There was also lots to do in Amber Cove, where we were docked. Amber Cove is a new port built by Carnival Corporation. 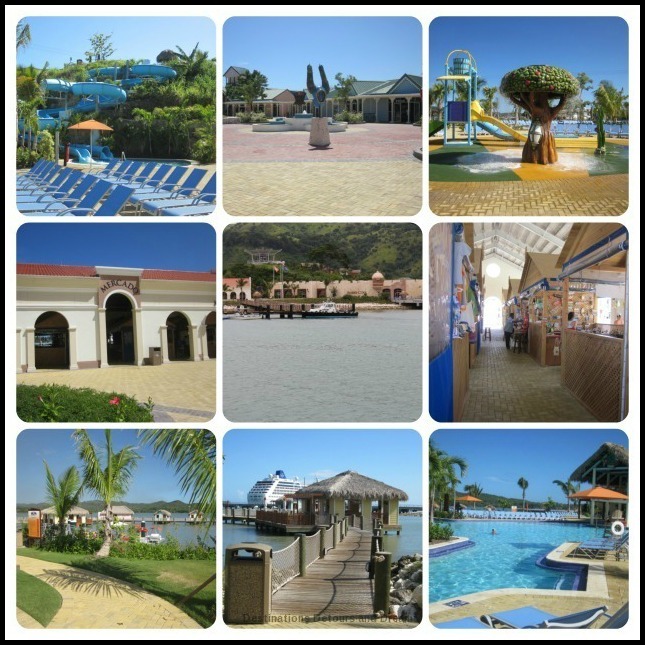 The resort-like area is open only to cruise passengers and includes a large pool, waterslides, water activities, cabanas for rent, a zipline, a market place, bars and a restaurant. Our fellow travellers spanned all age groups, from age eight to eighty. Some were first-time cruisers. Others were frequent cruisers. Some had done other volunteer travel. For others, like us, it was their first experience. There were several families. The children and teens were very engaged in the Impact activities. Most passengers generally wanted to “give back”. Fathom only began sailing in April 2016. Therefore I was surprised to meet a couple of people who’d been on a previous Fathom trip. I talked with others who were already planning their next trip, intending to bring more family members with them. There were times I felt inadequate and wondered what difference my small contribution made, but it did make a difference. Each individual effort matters, but it is the cumulative effort of travellers before you, travellers beside you and travellers after you which creates the larger impact. After my husband and I had completed our Impact activities, we treated ourselves to an afternoon at the beach. As I relaxed on the beach bed with the sun warming my body and the brisk breeze cooling it, tears started to trickle down by cheeks. The emotions I felt were so many and so mixed it was hard to describe, but the strongest feeling was one of abundance and love. I understood what “alongsideness” meant. It will likely take several more weeks to fully comprehend the impact this trip has made on me. Fathom did a good job of combining the relaxing/rejuvenating aspects of vacation with the opportunity to make a difference and to experience personal growth. I was impressed with the care and effort put into the programs, programs designed to make a sustainable difference. Before sailing, I wondered if the disparity between the luxury of the ship and what I encountered ashore would be disturbing. Life on the ship was indeed a luxury, but the transition from shore to ship was not as jarring as I’d anticipated. There are a few reasons for that. The deliberate absence of a casino, Las Vegas style shows and formal nights led to a lower-key atmosphere. The entire experience (on ship and on shore) was full of positive energy, generated from other passengers and the Dominicans we worked with. Back on ship, we were eager to share our experiences and learn more. Crew members were very friendly and also interested in hearing what we’d done. There is a Fathom Impact Center in Amber Cove. Some activities were held there while docked. 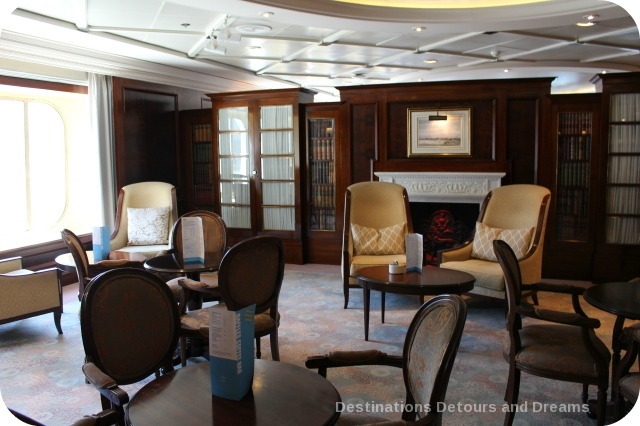 It is a place for passengers on the Adonia to find out more about the Impact activities they didn’t participate in and for passengers from other cruise ships to learn about Fathom. 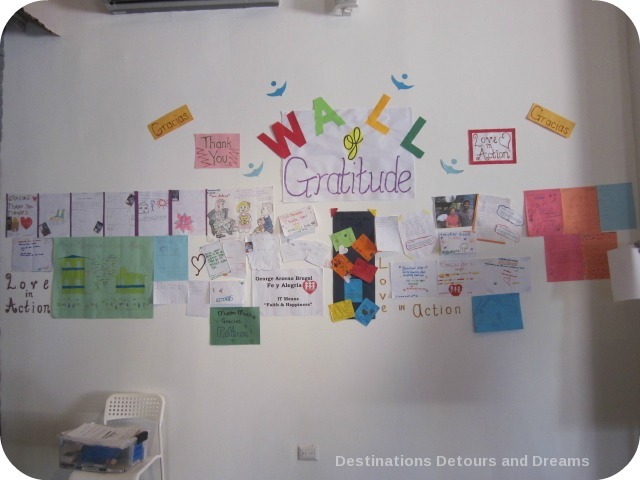 I think it is appropriate to end this post with a photo of the Gratitude wall in that centre. The wall contains drawings and notes from people impacted by the Fathom programs. The box on the chair in front of the wall is full of more notes ready to be added to the wall. If your Caribbean cruise takes you to Amber Cove in the Dominican Republic, consider taking one of the special activity onshore excursions to help out the community. Visit the Fathom Impact Center at Amber Cove and check out their free workshops. You can learn some Spanish phrases, dance the merengue and bachata, sort cacao nibs or plant seedlings. If you’d like a the fuller Fathom Travel Experience, check the Fathom website for upcoming cruises. While on the cruise, do not hesitate to talk to your facilitators, fellow Fathom travellers, and the locals you encounter. The stories you hear and the connections you make may be the most moving part of your experience. Although I’m not sure if the experience is for me ( the cruise part doesn’t appeal) this is an interesting concept and it sounds like it was a meaningful, motivating experience for many. Deb, cruises seem to be the type of trip people either really love (and do a lot of) or don’t care for. I’m in the middle. I’ve only been on a couple of cruises. There is lots to enjoy about them, but I typically like to see more of a place than the few hours the ship is docked allows. That being said, I would definitely do the Fathom cruise again. Yes, I think you’re right. It’s funny, you say in your post this was a smaller cruise of 750 people. Being more on the introverted side, that seems overwhelming. Oh well, all kinds of travellers, all kinds of options. What an interesting experience! Thank you for sharing. I have never been to the Dominican Republic either. Thank you for sharing. Your pictures are beautiful also. Thanks Sabrina. It was an interesting experience. Interesting concept of more or less a luxury cruise combined with doing good. It’s in line with current trends and I believe companies organising such cruises will make a lot of money. Having said that it’s a step in the right direction. Mind you, it would be much better if even a quarter of the people taking the cruise went to the Dominican Republic to work for half a year doing more or less what they did in the do good part. Also can’t help wondering it it wouldn’t have been better to give Haiti a helping hand. That country is worse off than the Dominican Republic. Catarina, it is an interesting concept. There are lots of questions and issues to ponder about the whole thing. It would be good to have a portion of the people volunteering for longer, but that amount of time isn’t feasible for a lot of people. Haiti is definitely worse off than the Dominican Republic – it’s the poorest nation in the Caribbean. Based on the information I could find online, that’s followed by Jamaica and the Dominican Republic. I don’t know if Fathom looked at working in Haiti or not. They have partnered with community development organization in the DR with long-standing records and I’m sure that would be the approach in any other country. We did ask in the What’s Next session if they were looking at expanding to other countries. At the moment that is not planned. They need to focus on building success in the DR first. Sounds to me like Fathom Cruises has really come up with a winning idea. Impressive to pair both self-growth and growth for others with such a wide variety of activities. Lovely photos. It was great meeting you on the cruise. Nice to meet you too Charles. Nice in-depth post, Donna. 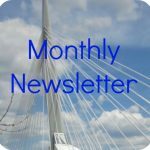 We sailed on Fathom’s inaugural cruise in April and it was our first cruise as well, so lot’s going on for us. Tatiana was not our impact guide but I spent about 15 minutes just chatting with her and she was a strong young lady, really enjoyed our chat. 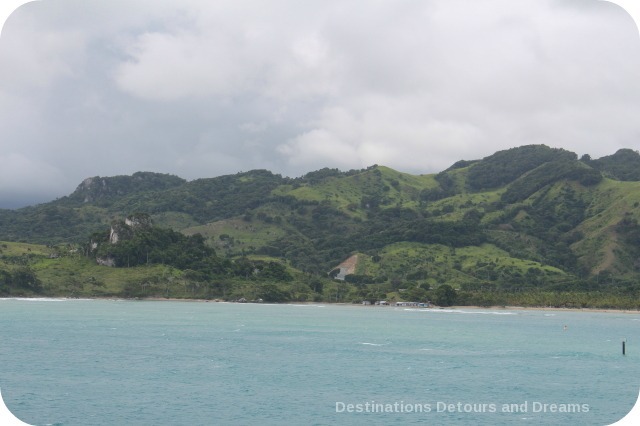 Overall, we found the cruise and our time in the DR to be a positive experience and along with having a really good time, we learned quite a bit about the DR and ourselves. I am still processing how to balance the volunteering with the for profit cruise line, so I am looking forward to the long run to see how it plays out. Thanks Patti. I too am processing the volunteering with the for profit cruise and watching how it plays out. I hope it works because if businesses can make a profit (without it being excessive or exploitative) while making a difference there may be more companies willing to do that and the impact over all could be great. 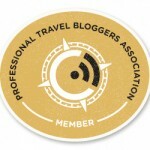 A great report Donna – it sounds like you, along with other bloggers I’ve read had a good experience. Knowing the cost of a cruise though I am having a hard time wrapping my head around the idea that I would pay thousands of dollars for a cruise and then go do volunteer work somewhere (and I don’t mean that to sound cynical it just seems like two conflicting types of travel being merged together). Maybe I need to try it sometime . 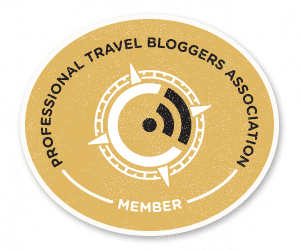 . . if I do, I’ll refer to your blog as you provided some great tips and gave me a feel for the on-board as well as the volunteer experience. A great post. Jackie, in some ways two conflicting types of travel are being merged but it gives one opportunity to do both. I’m not an expert on volunteer travel overseas, but from what I’ve come across there is generally a cost for short-term opportunities (1 – 2 weeks) that varies depending where you go and with what group. A couple of thousand dollars is not unusual, whether going with a non-profit or a for-profit group. 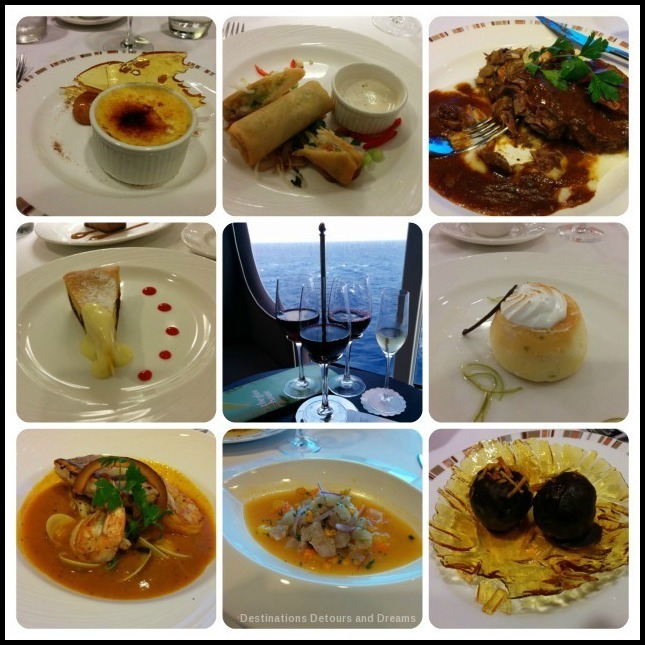 My husband and I have been on 13+ cruises – yes, we’re a couple of people who love them. But we’ve never been on a “giving” kind of cruise which sounds beautiful. My church leaves for their week long mission trip in a few days, to Guayabal, DR.
Pat, what will your church group be doing in the DR? This sounds like it was a wonderful experience Donna! I’ve only been on one cruise, but I loved it and wouldn’t hesitate to go again. It sounds like the people at Fathom have done a fine job of creating the right blend of atmosphere, activities and cultural experiences. Thank you for sharing! Marquita, it was a wonderful experience. I did like the atmosphere Fathom created. Wonderful analysis of your voyage. The questions that you pondered and answered were the same questions I had. For example, I was wondering about the disparity between the luxury of the ship and what you encountered ashore. The variety of “learning” opportunities (ie balance in one’s life) would certainly be one of the big attractions, but to know that one is actually making a difference would be why I am sure many people would sign up. Janice, I think people had a variety of reasons for signing up for the cruise. Many were eager to make a difference. Some were strictly attracted by the great inaugural fares Fathom was offering. Most of the people I talked too were delighted with the experience and a little surprised at how moving it had been. Hi Donna. I found this to be a very interesting post. I love cruising (I think we’ve been on 5 so far) and could see myself going on a Fathom Cruise, as I like the idea of giving back, and by helping those in need, we are lowering the environmental impact of our cruise. 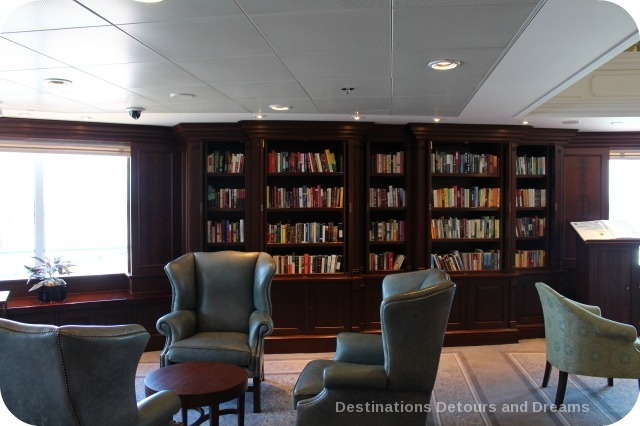 We used to love World Explorer Cruises for the same reasons, and the fact that they had massive libraries on board instead of the casinos. I’m looking forward to your post about helping the ladies cooperative with the cacao. Thanks Doreen. I learned a lot at the chocolate cooperative, but I doubt that anything I learned will be new to you. For sanitary reasons we did not get into the kitchen where the real chocolate magic and expertise took place. We did the simpler, more menial tasks (sorting beans for e.g.). That gave the women more time to spend on the chocolate-making tasks they’d been trained for. In the growing tourism-for-good movement, Fathom seems to have launched an innovative idea combining cruising with charitable work. It will be interesting to see if other larger organizations follow suit in some way. Jane, it is an innovative idea. It will be interesting to see if other organizations follow suit, Right now, I suspect they are watching to see how it turns out for Fathom. 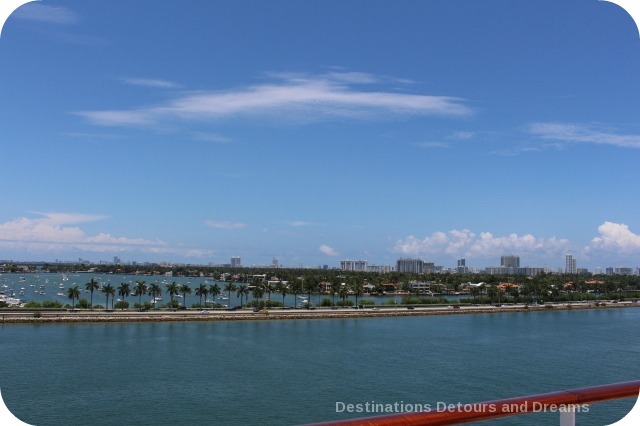 Love your synopsis of the cruise, you covered everything beautifully. As you mentioned, the trip was transformational in so many ways…I hope this concept does well and keeps helping and making a difference to the people of Dominican Republic. Thanks. I hope it does well too. Great piece, Donna. 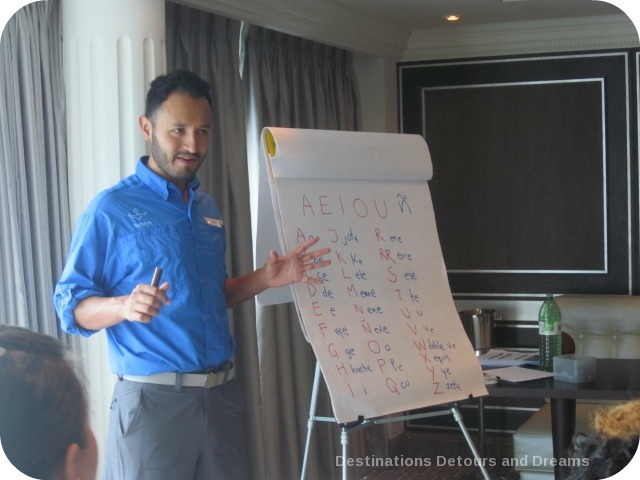 Really an interesting concept of combining a cruise wth giving a little back to community. We will definitely be looking at participating in something like this. Theresa, I think you’d like the cruise and get a lot of it (as well as giving back). What a wonderful description of your trip, if I was younger this would be something I would love to experience and to make a difference in someone else’s life! Thanks Aunt Louise. It was a great experience. I remember you mentioning this type of cruise in a previous post. I think it is great that families include their children. I went to a school growing up where service was a normal part of our curriculum and I think it was so valuable. I’ve never been on a cruise, but I think I would appreciate the simplicity of this type of cruise. It seems more relaxing when you are actually on the ship. Thanks for sharing! Erica, it was great to see the families. And to see them so interested! Many activities are purposely family-friendly. 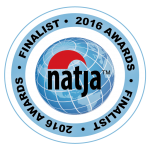 (most appropriate for eight years and up) It is a great way to broaden children’s horizons and teach them about making a difference. What a fantastic idea. Bravo to you and all the passengers, and Carnival for coming up with such an innovation and purposeful idea. Your descriptions and photos are excellent! Noel, the ship did have a lot of great spaces. I’d been eager to hear more about the Fathom trip, Donna. What a great experience to get to interact and help people in such a unique way. I’d have enjoyed the same activities as you! Can’t wait to hear more. Rose Mary, it was a great experience. Quite a different trip. Very nice to read your experiences Donna. Ours was pretty much the same. Definitely feel that Fathom is doing a good job and that this is a worthwhile experience for anyone looking to make an impact while also enjoying a very cool vacation. Veronica, I too think it is a worthwhile experience. Anita, I definitely feel we usually gain more than we give when we volunteer and help. Volunteering does enrich us. I too have doubts about “voluntourism” in general, but was impressed with my Fathom experience. I’ve never been on a long distance cruise before but I love the sense of community, the idea of yoga and meditation when cruising. Bola, There was a real sense of community on this ship. A combination of the smaller size and the purpose. That is such a great idea, enjoying yourself and helping others. I just hope that the passengers get out of the “being pampered” attitude of the cruise when they get off the boat and begin their volunteer work. William, it is a great idea. The passengers I worked with were all willing and eager to get to work on their Impact activities. 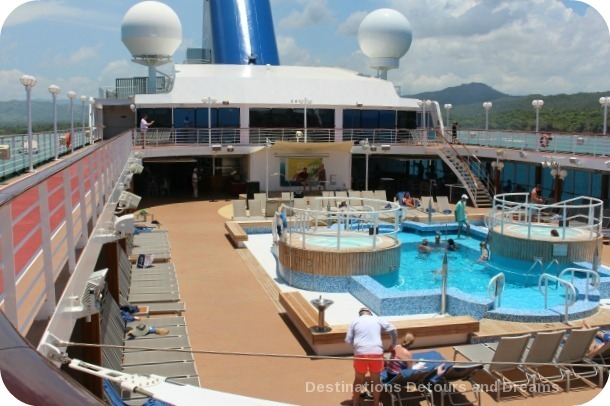 Donna, I was very curious to read reviews about the Fathom cruise to the Dominican Republic . Part of me wonders if it’s Carnival’s way of green washing cruise travel, and another is happy to see them trying to offset the environmental consequences with Impact travel. I guess the bottom line is whether the positive outweighs the negative. From everyone’s coverage I’ve seen, It appears to be a very positive experience for all involved. I look forward to reading your other posts and seeing how it all plays out in the future. 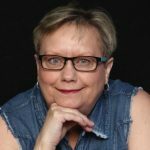 Alison, the experience seemed to be positive for everyone I encountered – both on and off the ship. I too am interested to see how it plays out in the long term.